For the second time in three years, the downtown of Ellicott City, Maryland, is more of a river than a road. This is not necessarily uncommon for this town, and a quick look at a map of the area tells the story. Ellicott City is the location of many confluences, or the joining of streams, with the Patapsco River. The upper Western Branch of the Patapsco River, Tiber Branch, Hudson Branch, Autumn Hill Branch, and New Cut Branch flow into the Patapsco River near the Historic downtown of Ellicott City, LA. These tributaries, topography, and increased runoff due to urbanization, all contribute to a flood prone region. Several steep and relatively straight stream channels bring water to the Patapsco River from all directions at Elliott City, Maryland. Image credit: Google Maps. 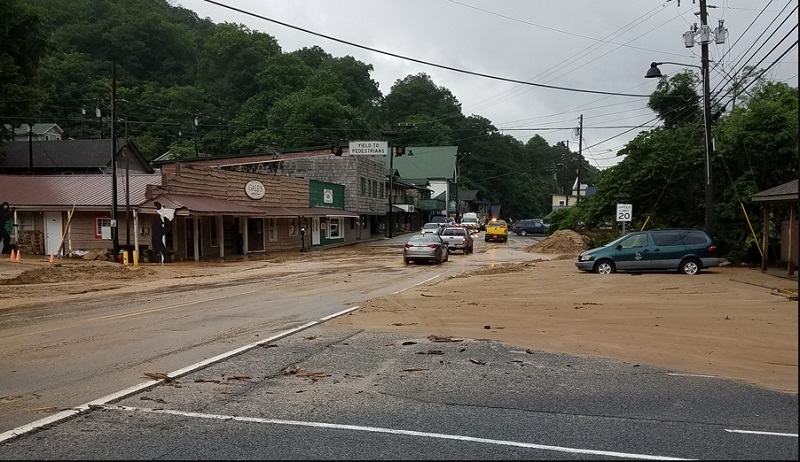 On the heels of Subtropical Storm Alberto, reports of another flash flood event is occurring in Asheville, North Carolina. 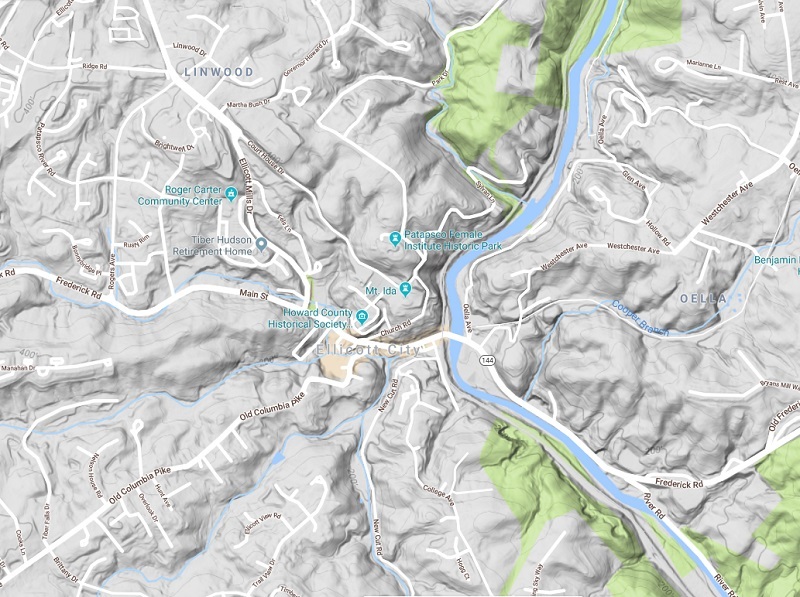 This is a result of a similar situation with Ellicott City, an urban area that is situated between steep topography and tributaries flowing into a larger river. Asheville recorded 7 inches of rainfall within a 24 hour period, bringing the total amount of rain through May to a record-setting 14.09 inches. This has also lead to several landslides in the Appalachians of North Carolina, so far causing three deaths. Flooding on Blowing Rock Rd. in Rutherford County in North Carolina. Image credit: NCDOT. These images of flooding brings back horrid memories of the Louisiana flood of 2016. The disaster was widespread, but caused by the same factors: a rain-making weather system, regional topography, and urbanized runoff. We saw areas receiving over 20 inches of rain in several parishes, as an area of low pressure sat over Louisiana and dumped 7.1 trillion gallons of water over our state. The low pressure system encountered an upper level trough, which slowed it down and fed the system with moisture from the Gulf. Flooding in Baton Rouge from August 2016. Image credit: Melissa Leake - MGN. If it seems like we experience more flooding than we did in the past, it is because we have, and it is likely to get much worse. It all has to do with how the climate is changing along with our urbanization techniques. The three hottest years globally on record have been the last three years, with 2016 leading the pack. 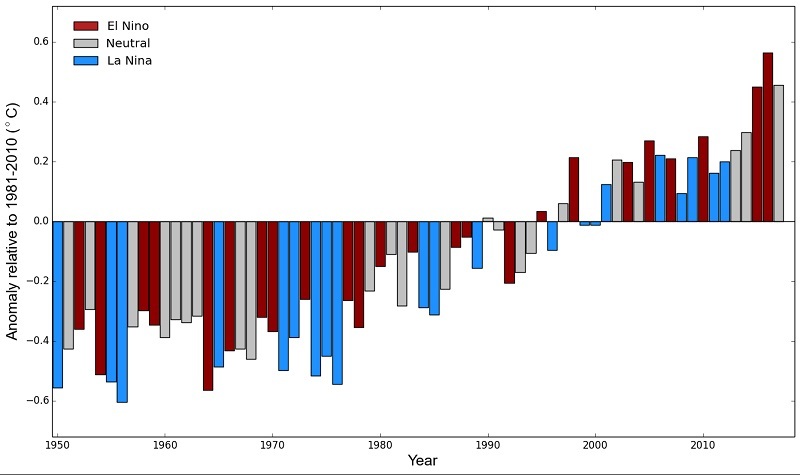 The ten warmest years on record have all been since 1998, and the top 20 have been since 1995. This alone is alarming, but it is how this impacts other Earth’s processes that is of real concern. 1950-2016 years of above or below average global temperatures indicated through El Nino/La Nino years. 2016 was the warmest year on record, with 2015 in second, and 2017 third. Image credit: World Meteorological Organization. As temperatures warm, the process of evaporation and evapotranspiration is much more efficient and quicker. This allows the atmosphere to carry more water within a storm, and more water can be pulled from plants and the soil. Urbanization effectively removes the porous soil, with an impervious surface that cannot store rainfall. Instead this mostly pavement, concrete, or asphalt surface, immediately sends rainwater through pipes and directly drains into the closest rivers or streams. Normally, when it rains near a non-urban stream, the rainwater slowly infiltrates into the river over the land and through the soil. This spreads the input of water into the stream over a more manageable amount of time. 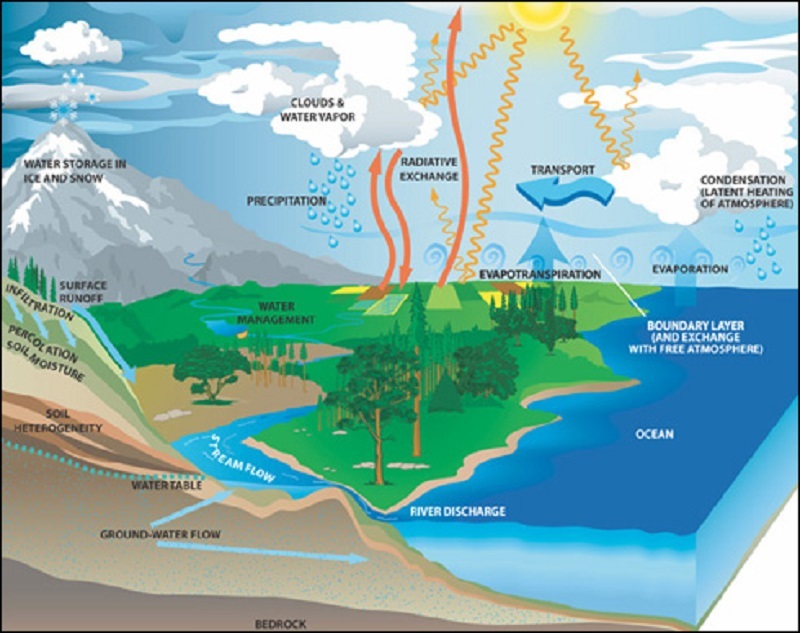 Hydrologic cycle describes the journey water takes from evaporation, transport, storage, precipitation, and runoff. Image credit: NASA. The main cause of the Louisiana flood was from a low pressure system that sat over our area, but the reason it stalled had to do with an upper level trough. This trough helped to slow the low pressure down, but also piped in a direct supply of almost unlimited moisture from the Gulf. These upper level troughs during the summer months will increase in number and intensity with a warming climate, opening the possibility for another flooding event in Louisiana or anywhere across the Gulf States. 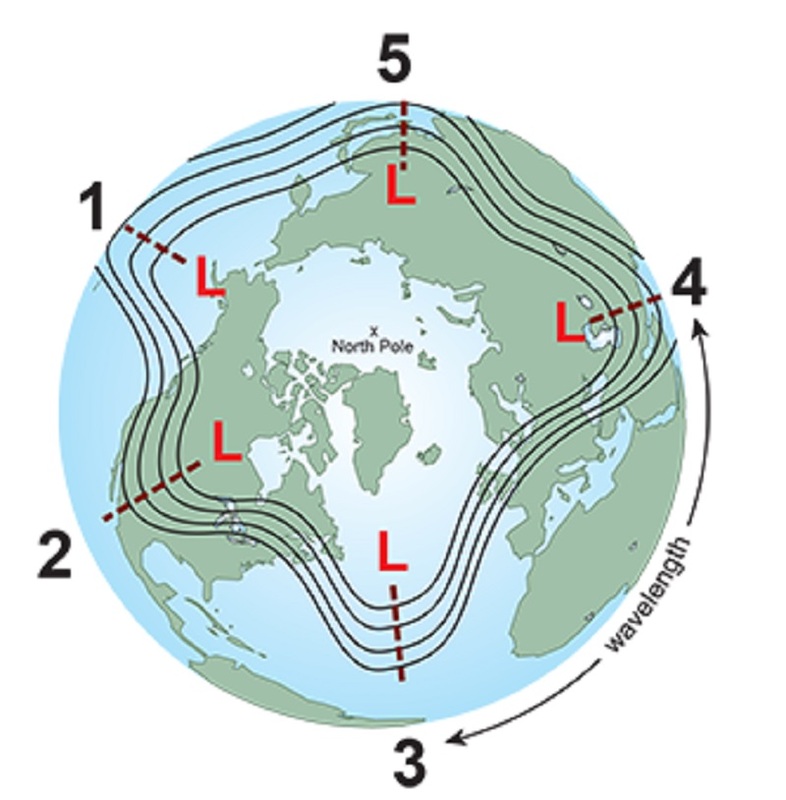 Weather is a result of the distribution of heat from the equator to the poles, and with a warmer equator, the redistribution has to work faster both from the equator and from the poles. This is another reason why we are also likely to experience more active and stronger hurricane seasons on average. An example of the 5 planetary-wave pattern. These are long, or Rossby, waves which distribute cool temperatures from the poles. Short waves travel within these long waves to bring a batch of cool air that help to deepen the longer waves. 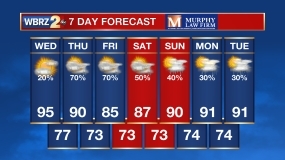 Image source: National Weather Service. Over the last 60 years, there have been significantly more flooding events across the nation. The epicenter of this increase has been felt the hardest along the east coast, primarily between New York and Georgia. The largest increase of flood days has been in the Carolinas, where an increase of 40 times the 1950 number since 2010. 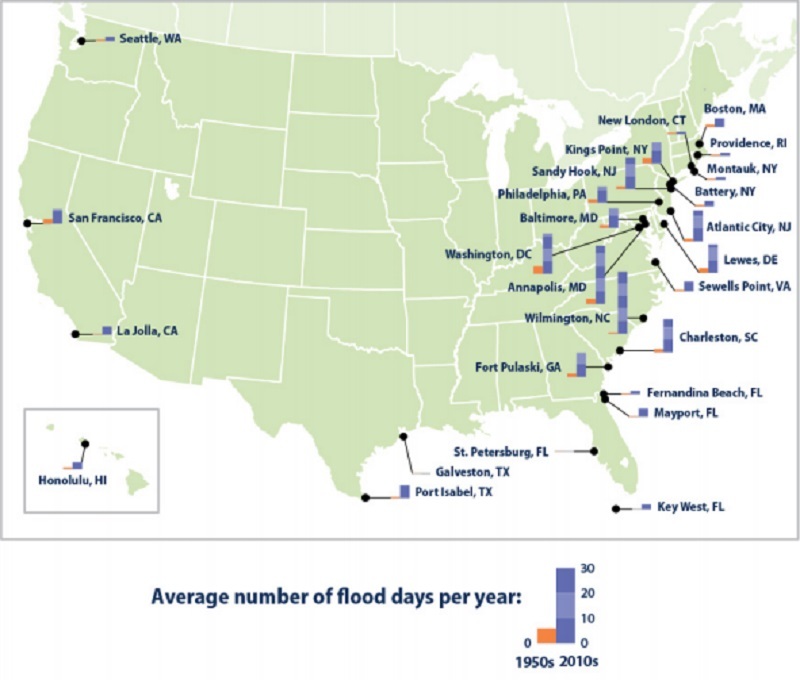 This map shows the average number of days per year in which coastal waters rose above the local threshold for minor flooding at 27 sites along U.S. coasts. Each small bar graph compares the first decade of widespread measurments (the 1950s in orange) with the most recent decade (the 2010s in purple). Image credit: NOAA. Preparation can mean the difference between life and death. In 2017, flooding killed more people than any other extreme weather event, and is second only to heat in the last 30 years. Flooding is the most common natural disaster in the United States, and it affects every state. The majority of flooding fatalities are associated with vehicles and trying to drive through floodwaters. Remember, 6 inches of fast-moving water can knock over an adult, and it only takes 12 inches of rushing water to carry away a small car. If you ever approach standing water on the roadway, make sure to turn around and find another way to your destination. You never know how deep the water is, and it only takes a couple inches of water to obscure the yellow center line. 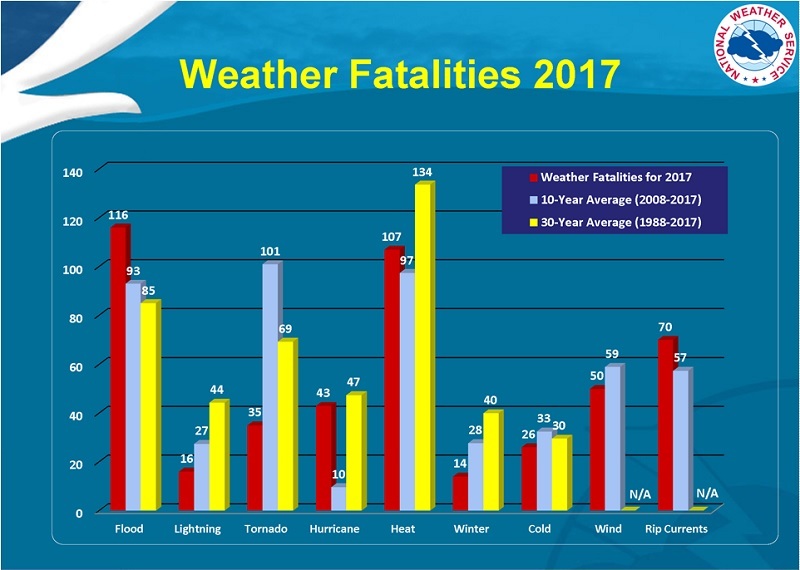 National weather fatalities for 2017, the 10-year average, and 30-year average. Image credit: National Weather Service.